‘Kala Vruksha’ is the dream venture of Pooja , a software engineer by profession. Under Kala Vruksha, Pooja creates hand crafted jewelry and canvas paintings and has recently added pebble art to her potpourri. We customizes the designs according to your taste. Pooja’s gruelling hours in the corporate sector prompted her to look for avenues where she could explore her creative side and she found solace in art! Experimenting with colours, Pooja’s canvases and pebble art reflect her love for bright colours. REFUND POLICY 1. 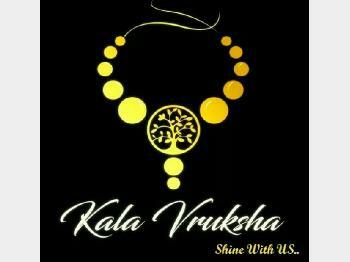 At Kala Vruksha we offer you high quality handmade jewelry at reasonable prices. Products are dispatched after a thorough Quality Check. 2. Once your order is placed, cancellation is not possible.Exchange Or Return request will be excepted only if damage or wrong product is delivered to the buyer . 3. Product ones sold will not be taken back owing to color or shade difference , due to photography and different screen/monitor . so please allow little difference in color . 4. All requests for return of product have to be placed within 24 hours from the date of delivery. 5.No return requests after 24 hours from delivery will be processed. 6. All items must have the original tag and label and must be returned in the same conditions as delivered by the Company. 7. The shipping cost of returning an item shall be borne by the seller if product is damaged.We only replace items if they are defective or damaged.